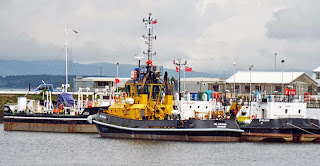 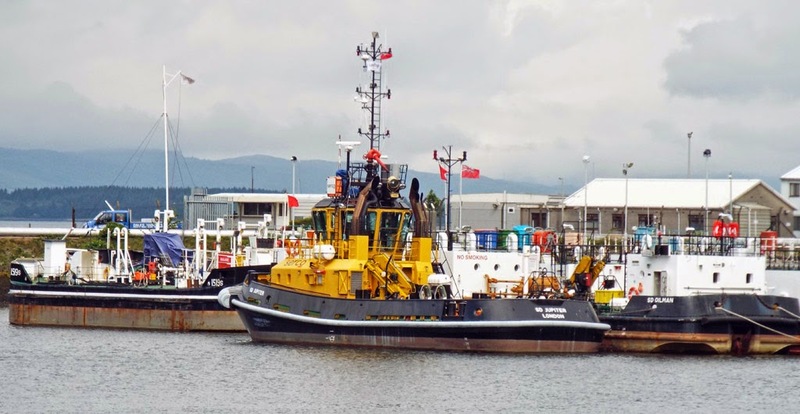 Svitzer tug Willowgarth in JWD after annual inspection in the Garvel 03 June 2014. 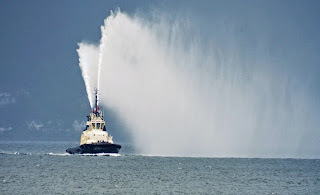 Coaster Warber at GOT 03 June 2014. Container vessel India unloading at GOT 03 June 2014. 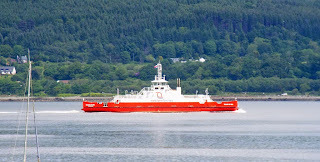 Western Ferries' Sound of Seil crossing Cardwell Bay enroute to JWD 03 June 2014. 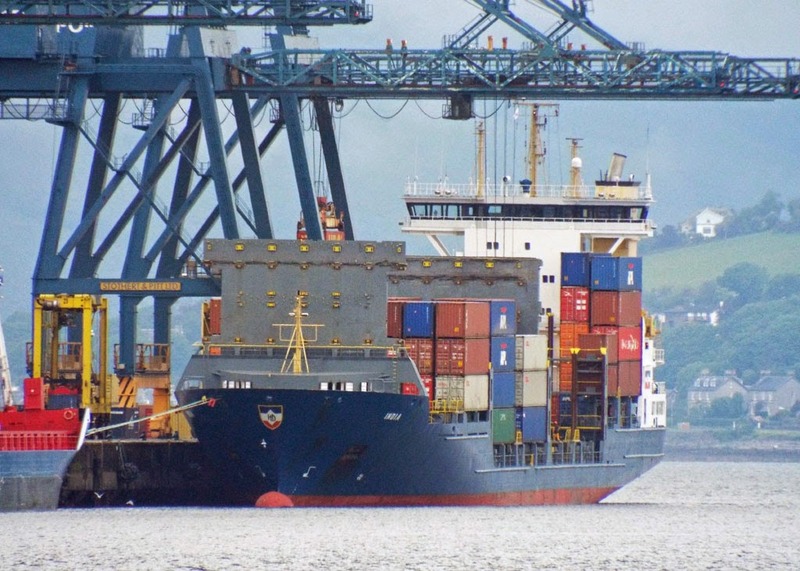 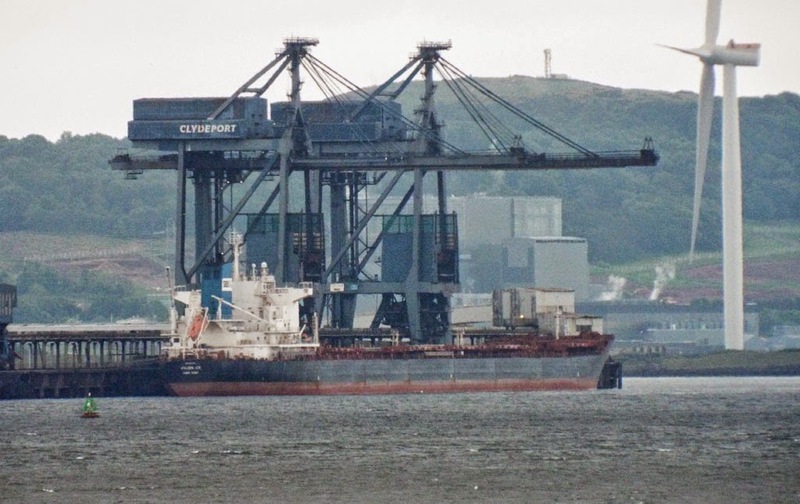 Bulk carrier Hubert Fedry unloading at Hunterston 03 June 2014. 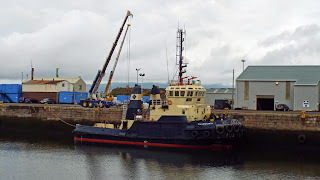 Serco support vessel SD Northern River at her (seemingly permanent) berth in Great Harbour 02 June 2014. 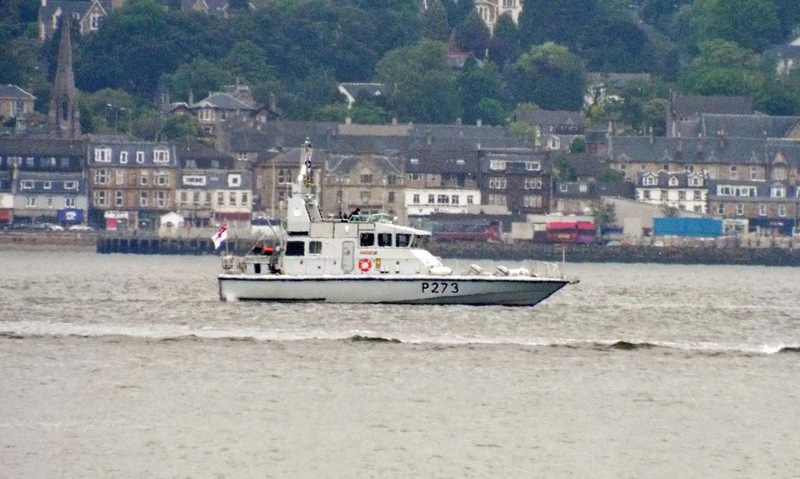 Time to get the paint brushes out, chaps! 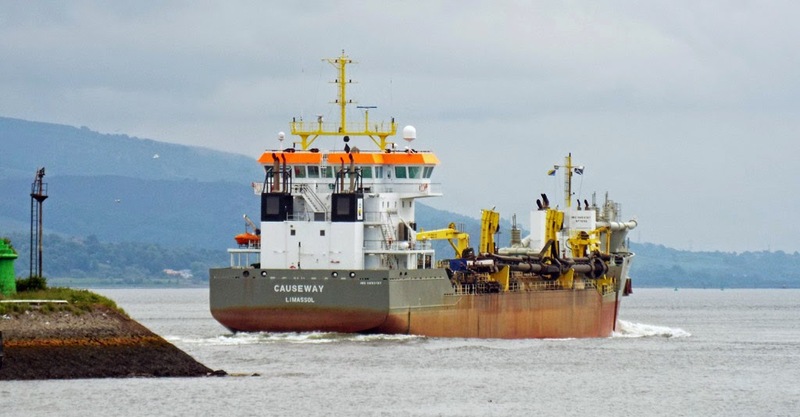 Trailing suction hopper dredger Causeway passes Great Harbour 02 June 2014. Cement carrier Cemisle ("cement carrier with pneumatical and mechanical self discharging equipment") off Gourock 02 June 2014. 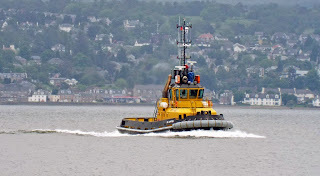 Svitzer tug Anglegarth tests her fire pumps, returning to JWD from Finnart, 02 June 2014. 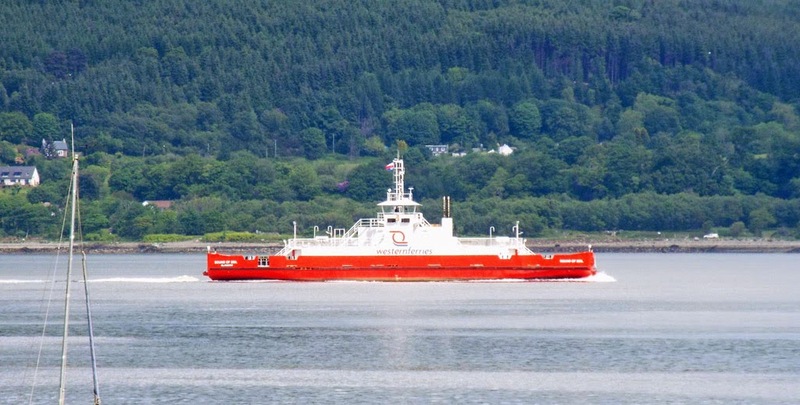 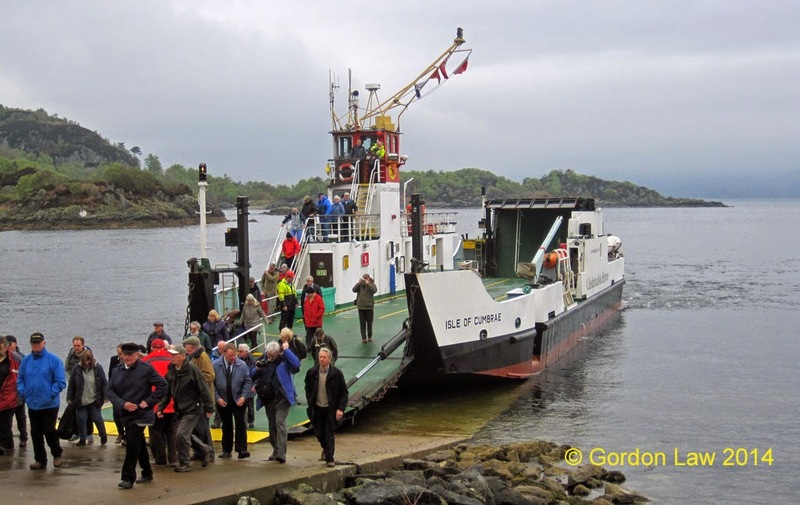 Serco crew transport vessel SD Oronsay heads back to Faslane 02 June 2014. 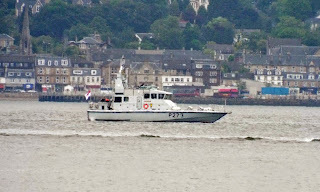 "Archer" Class Patrol vessel HMS Pursuer (P273), attached to Glasgow and Strathclyde Universities Royal Naval Unit, exercising off Helensburgh 31 May 2014. 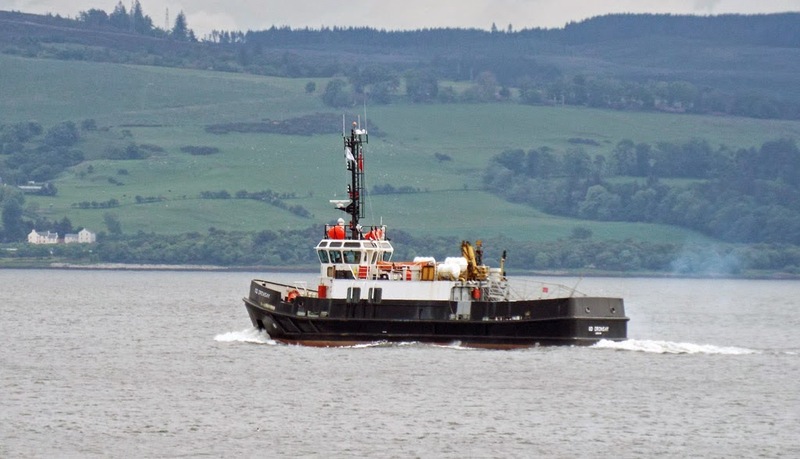 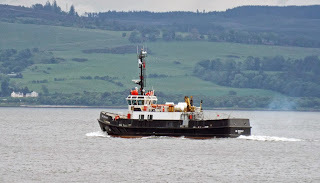 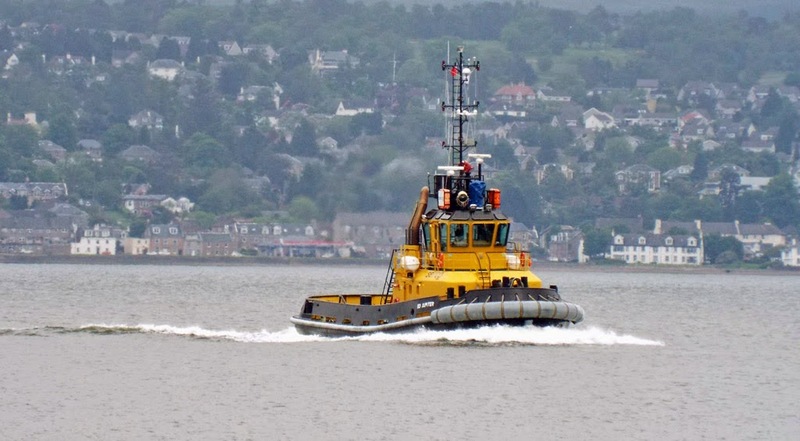 Serco tug SD Jupiter crossing from Faslane 31 May 2014. Later lying in Great Harbour beside SD Oilman 02 June 2014. 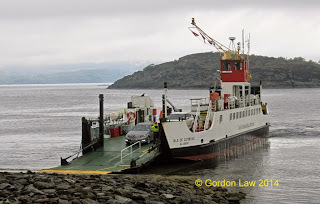 ClydeNavalGazing correspondent Gordon Law was on the Clyde River Steamer Club Ferry Hopper Trip 05 April 2014. 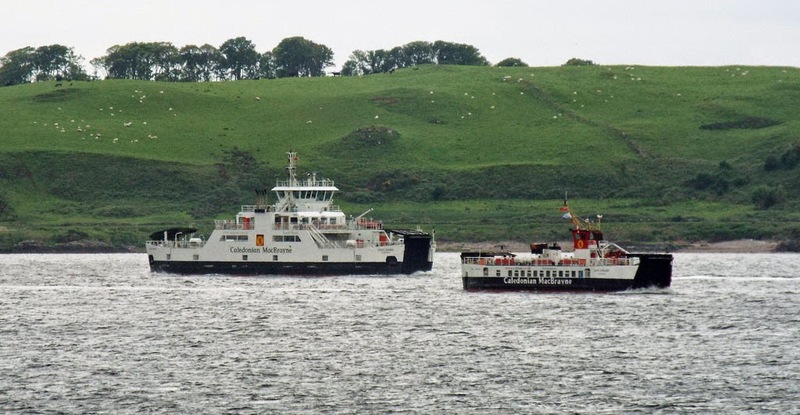 "Isle of Cumbrae at Portavadie." "Isle of Cumbrae at TLF with the masses emerging!!!!" ClydeNavalGazing correspondent Gordon Law was on the Clyde River Steamer Club Ferry Hopper Trip 05 April 2014. 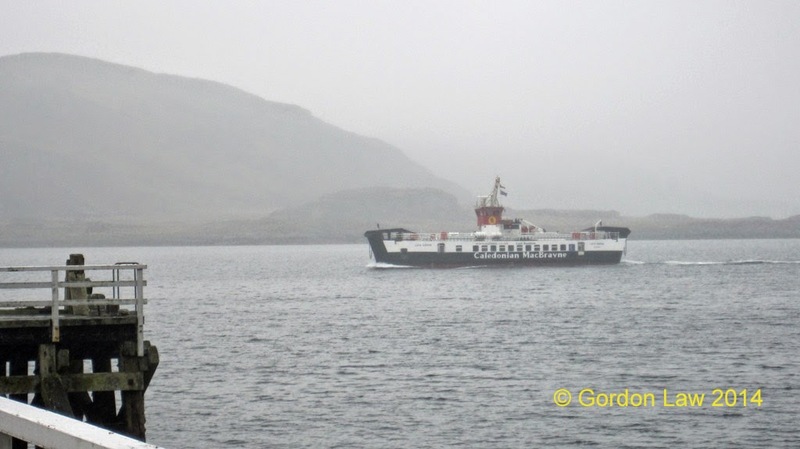 "Loch Riddon appears out of the gloom at Tighnabruiach from Oban, en route to Ardmaleish (major problems with ramp hinges)". 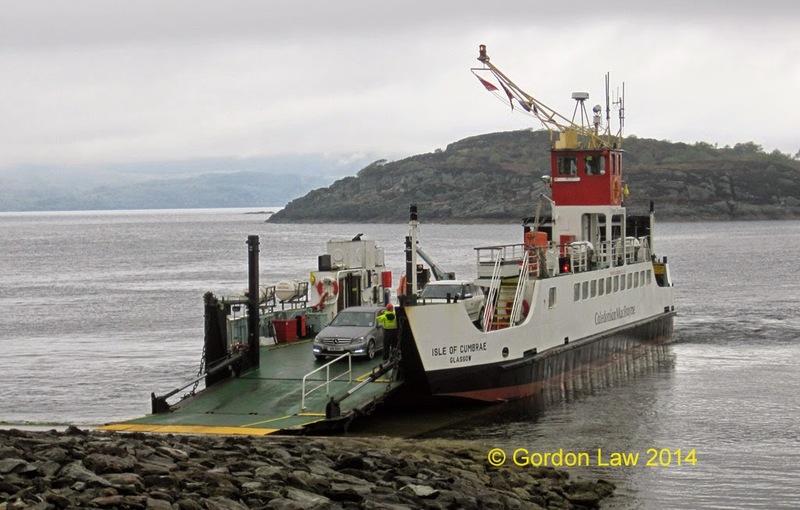 ClydeNavalGazing correspondent Gordon Law posts this shot of Loch Striven at Cumbrae Slip 16 April 2014. 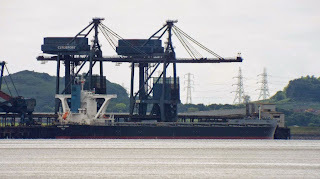 Eschewing the usual Irvine Bay anchorage, bulk carrier Ian M lies at No. 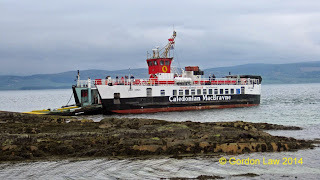 6 Anchorage off Largs 28 May 2014. Bulk carrier Golden Ice unloading at Hunterston 28 May 2014. 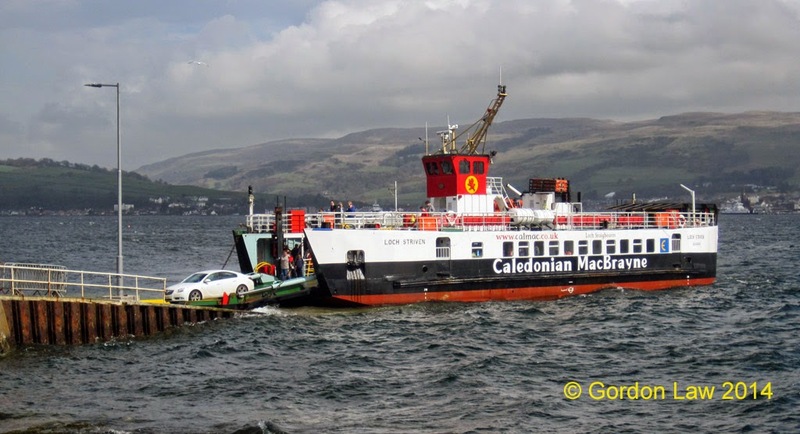 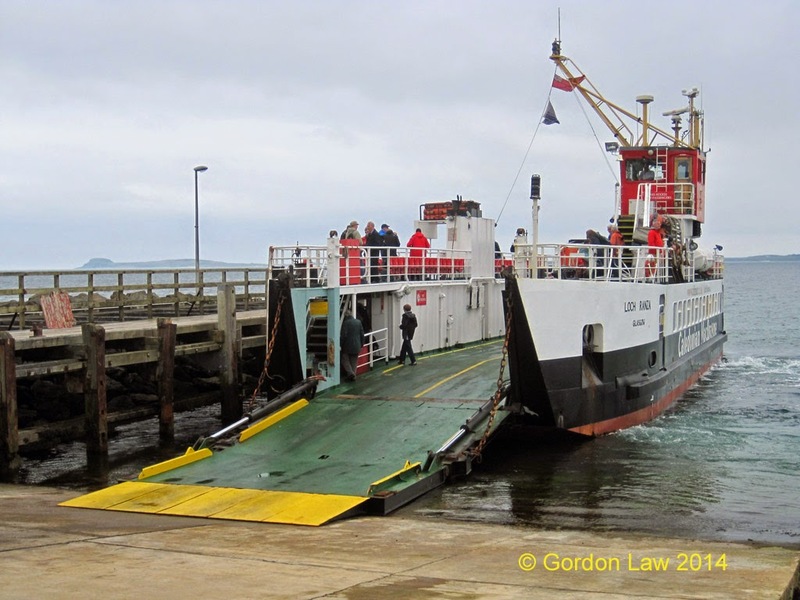 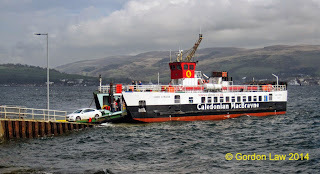 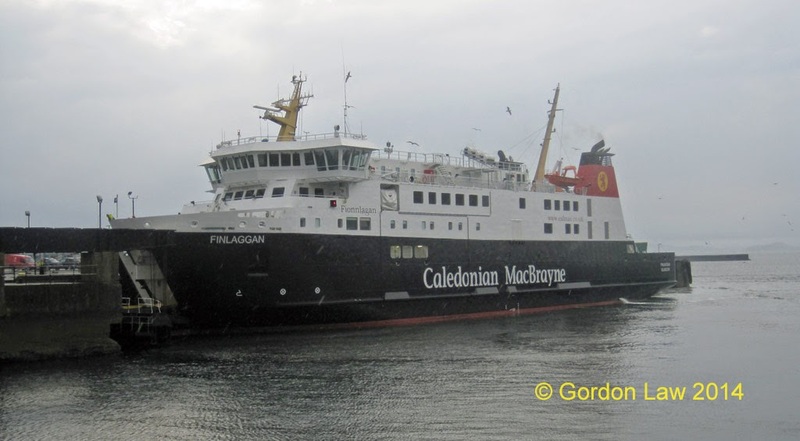 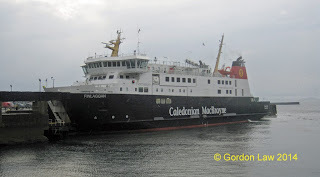 Caledonian Macbrayne's Loch Shira and Loch Striven on service 28 May 2014.